Raised in the Idaho Rockies, outdoor sports has always been a part of my life. I am a creative media producer, specializing in photography and video. I love mountain biking with my husband and am excited to ride my first mountain biking race this summer. I started riding a bike at a very young age. I remember my trike as a two year old and after that, I always had a bike to ride around my neighborhood or in summer time triathlons. The thing I love most about riding my bike is that I have to clear my mind completely to ride well. I am the type of person who is always thinking about a million projects and it is hard for me to relax. I like focusing on the trail and nothing else. 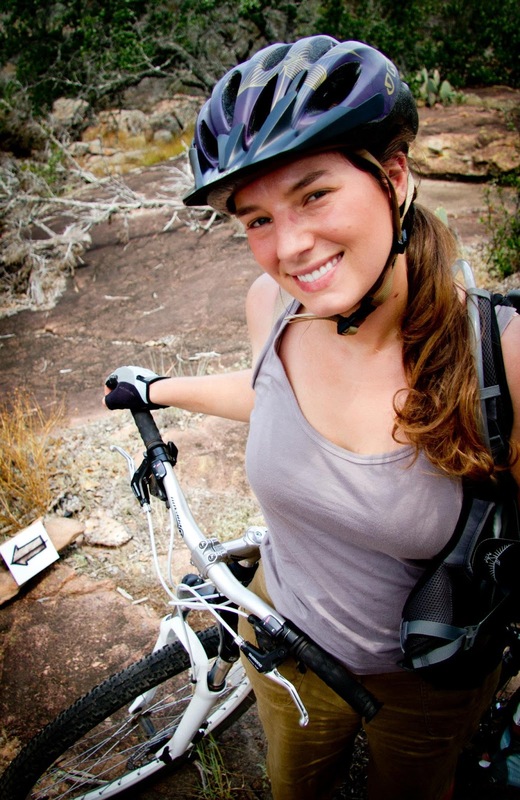 I haven’t ridden in any mountain bike races yet, but I am very excited to do the Beti Bike Bash this summer. Honestly, I felt terrible on my first mountain bike ride. My husband was much faster and I felt a bit low. However, once I was able to clear my mind of insecurities and fear, I felt free. 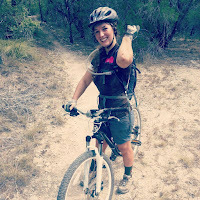 I realized that I need my full attention and self-belief to overcome my mountain biking fears. Every time I fall, I have to re-ride that section of trail. If I don’t, that fear stays with me every time I ride that trail. I ride a Specialized Rumor (29er) and I love it. Switching over to a 29in wheel has made such a different in my riding. Technical sections are what give me the most trouble, and the bigger wheel gives me much more confidence. 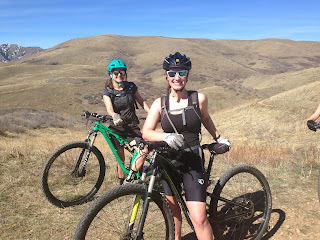 I joined Dirt Divas, because I wanted to ride with other MTB women! Most of my friends do not MTB, and so joining the race team was an amazing opportunity. What has been the best thing about having joined Dirt Divas? It gives me more confidence to have the support of the team. What advice would you give someone seeking to join a club for the first time? DO IT. If you have any interest at all in improving your riding, joining a club is going to help you with the skills and the amount of time you spend in the saddle. I think it is a sport that is becoming more and more popular with women, and it just makes me want to get out and ride more.